Bricks and Blocks are the everlasting and abiding materials that are used to shape the modern buildings as well as the older ones. 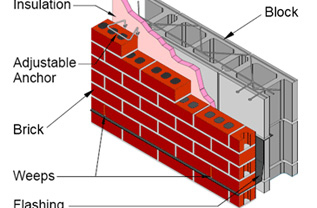 Brick Block Masonry is generally a highly durable form of construction. However, it depends largely on the materials used; the highest quality of the mortar and workmanship, and the brick patterns affect overall construction. We at TETRA Construction Corp. provide the finest Commercial, Residential and Industrial Brick Block Masonry services in the Tri-state area of New York, New Jersey and Connecticut. We are a leading Commercial and Residential general contractor serving Brooklyn, Queens, Bronx, Staten Island, Manhattan and all around NYC, Long Island, Suffolk county, Nassau county. From the smallest concrete pad to your biggest backyard territory, we provide the exclusive and top-notch Masonry services throughout the Tri-state area within your budget. Tetra Construction provides expert masonry contracting to home owners, industrial and commercial buildings. We are professional commercial masonry contractors located in Brooklyn, NY provide full range of structural and decorative masonry services ranged brick block masonry, stone masonry, patio brickwork, masonry repairs, wall retaining and more. Our masonry professionals proficient in delivering accurate results to any repair and maintenance work across brick, blocks and stones. We integrate quality, reliability and workmanship. Get complete and affordable solutions to your masonry needs. TETRA Construction provides architectural and beautifying masonry services for a wide variety of Commercial construction projects. Our highly experienced technical professionals always adapt the best and latest equipment, tools and techniques to complete the project beyond your expectation of quality. To bring the best of your project, we provide daily site management, excellent workmanship, and pay strict attention to every detail. 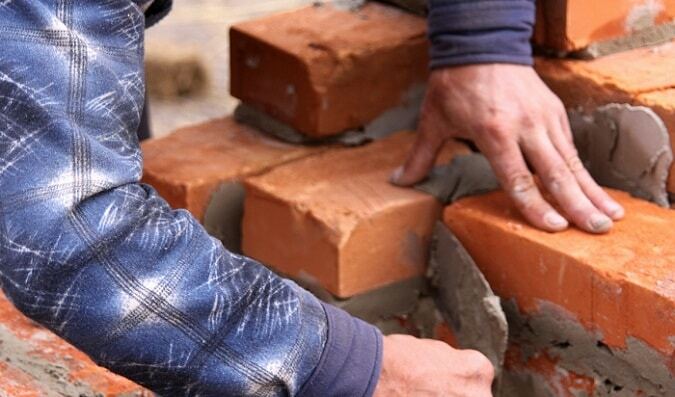 We provide appropriate training to every employee for all kinds of masonry services. Our Commercial Masonry services include Brick block Masonry, Stone Masonry, Sidewalks, Stonework and more. TETRA Construction provides excellent masonry services for your home or any other residential project. Being a fully Licensed and Insured company, we convey high quality craftsmanship and assurance of quality work at reasonable market price. Whether you have a small or large, indoor or outdoor, basic or fancy project, we are completely dedicated to provide you with the High quality of Masonry services. We ensure complete customer’s satisfaction from the beginning of the project to the ending stage. Our Residential Masonry services include brick block masonry, ratio brickwork, masonry repairs, wall retaining, veneer and more. Count us for reliable and affordable brick block masonry services in Bronx, Manhattan, Queens, Brooklyn, Staten Island and more. Call us Today! and get obliged free estimate on Masonry repairs project! © Copyright 2016 by TETRA CONSTRUCTION. All Rights Reserved.